The last 24 hours saw a rapid increase of the combat activity of Russian-terrorist troops in the ATO zone. The insurgents were actively using cannon artillery and 120-mm mortars, and made several assault attempts on the Ukrainian units, some with the use of armored vehicles. We observed a rapid increase in the Russian-terrorist combat activity in the Luhansk, Donetsk, and Seaside [Mariupol] sectors. Russian-terrorist units also made two fire strikes on Ukrainian troop positions in the vicinity of the settlement of Opytne, using 120-mm mortars. At the same time, a terrorist armored group (three BMP-2 infantry fighting vehicles) approached the Ukrainian positions near Pisky and fired on them using 30-mm automatic cannons. In the Luhansk sector, near Stanytsia Luhanska, a patrol group of one of the Ukrainian airborne forces was attacked by two groups of terrorist “infantry” while moving along the demarcation line. The enemy used small arms, grenade launchers, and heavy machine guns. The insurgent fire group has moved towards the route of the Ukrainian paratroopers and took firing positions ahead of time, while a support group occupied a blocking position. Both groups were acting in a coordinated and covert manner. (This mechanism is described in the collection of standard tactical objectives developed by the General Staff of the Russian Armed Forces, several years ago, for the “new type” combined arms teams.) As a result of counter-attack by Ukrainian paratroopers, the terrorists were forced back behind the demarcation line. In the Seaside [Mairupol] sector, the insurgents shelled the ATO forces stronghold near Pionerske using 120-mm mortars, with numerous adjustments and transfer of fire during the shelling. After this diversionary strike, which is an attempt to restrict our reserves in this area, the enemy shelled the settlement of Shyrokyne twice, using 120-mm mortars and 122-mm cannon artillery. After the artillery preparation, a clash started in the vicinity of Shyrokyne. The insurgents used armored vehicles (3-4 tanks and an “infantry” assault team) to attack the positions of Ukrainian troops. In addition to the increased combat activity, the terrorists continue reinforcing their tactical strike groups in certain sectors. Several supply convoys were spotted moving through Lutuhyne – Perevalsk – Alchevsk (the “northern route”) – a total of 27 different vehicles, including trucks, fuel tankers, and specialized vehicles (mainly mobile repair stations and vehicles with specialized technical equipment). Plus, three train cars were unloaded at the approaches to Debaltseve – mainly unguided 122-mm missiles for Grad MRLS (the ammunition was transported to the area of Chornukhyne). 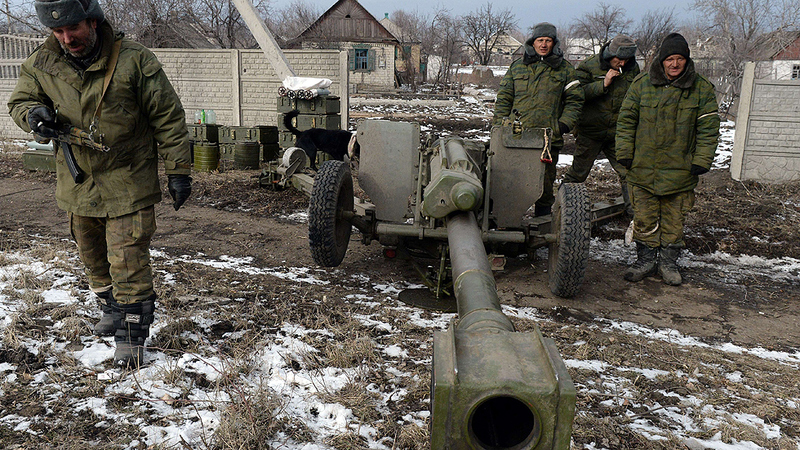 Insurgent forces stationed on the outskirts of Debaltseve. Photo by AFP. Resources, supplies, and combat equipment are also being transferred along the “southern route” to the vicinity of Donetsk and areas south of the city. A total of 34 pieces of equipment were spotted (including 26 supply vehicles). In the Artemivsk sector, two company-level tactical groups arrived from Donetsk, and were deployed on the flank positions near the settlements of Luhanske and Svitlodasrk. At this time, the terrorist forces concentrated north of Debaltseve include 22-24 tanks, 38 armored combat vehicles, and up to 1500 personnel organized in three main battalion-level tactical groups and a number of smaller units. Their supporting artillery has been withdrawn behind the Luhansk – Donetsk motorway (only small, 3-4-gun, artillery units are operating north of this line). 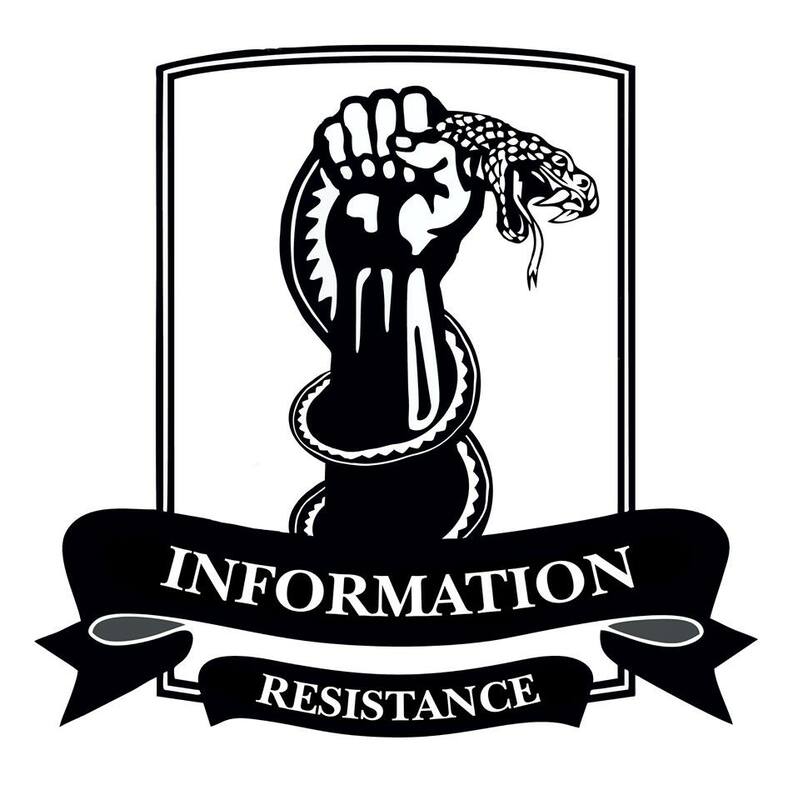 Three Russian-terrorist radio intelligence points are operating near Donetsk, Horlivka, and Dokuchajevsk. A new radio network is operating near Starobesheve (even though the enemy attempts to maintain radio camouflage in this area by trying to conceal the arrival of the new battalion task group [reported previously by the IR group]).